Anzac Square in Brisbane is Queensland's pre-eminent war memorial, commemorating the contribution of Australian armed forces and particularly, the service of Queensland’s men and women, in overseas conflicts since the Boer War. In recognition of the importance of this unique and much loved memorial, $21.98 million is being invested in a staged project to restore, protect, and make respectful enhancements. The first 3 stages of this project were a joint initiative between the Queensland Government and Brisbane City Council, and are now complete. The fourth and final stage is a joint initiative between the Queensland Government, Anzac Centenary Public Fund and Brisbane City Council, and is currently underway. Stage 1 of the project was completed in mid-2014 and involved stripping out the former RSL QLD Headquarters and thoroughly investigating the water penetration issues, and the structural condition of the substructure and walls. During this stage the original early 19th Century porphyry wall was uncovered. 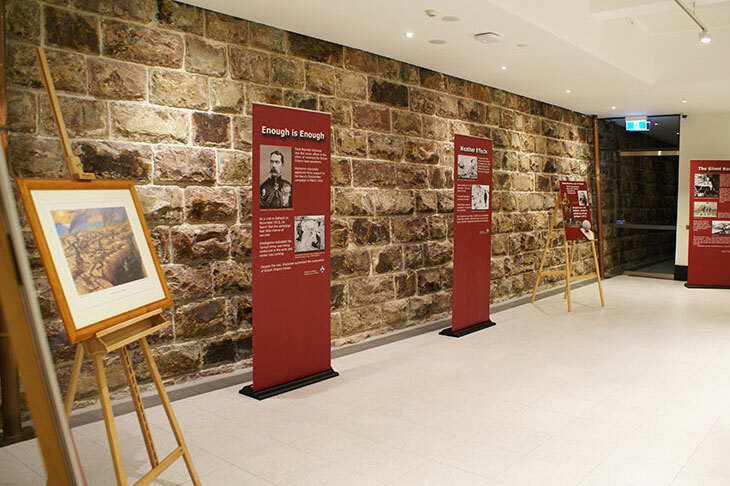 The wall retains Ann Street from the undercroft area, and was restored during stage 3 to further showcase the heritage significance of the site. Stage 2 of the project was completed in April 2015 in time for the centenary of the landing at Anzac Cove on 25 April 2015. 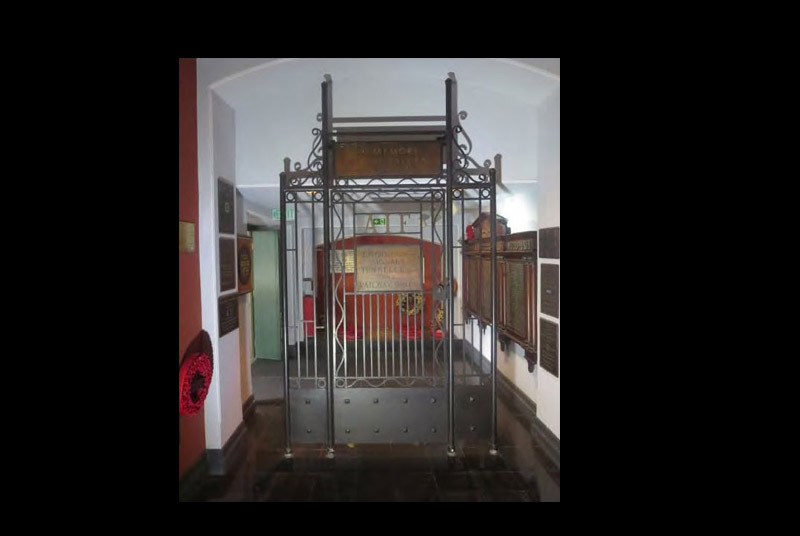 During this stage, critical works were undertaken to address water leakage into the undercroft areas, which damaged the rooms and galleries below and threatened the structural integrity of the memorial. This stage also addressed issues with the reliability of the Eternal Flame by installing a new electronic ignition system inside the Eternal Flame urn. Repairs to the heritage elements included stonework and replacement tiles, and paving. During this time the Eternal Flame was temporarily relocated to the Anzac Square Parkland. 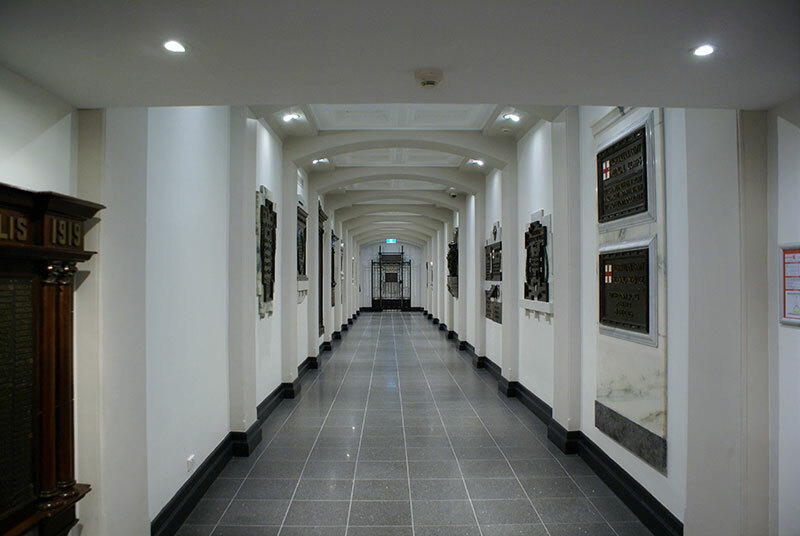 Stage 3 included the refurbishment and respectful enhancement of the heritage undercroft spaces and was completed in April 2016. 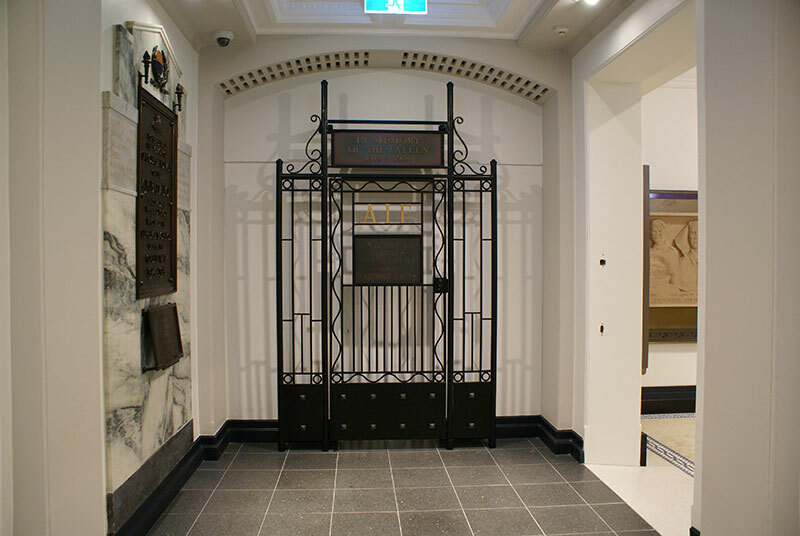 The former RSL Queensland Branch headquarters has been transformed in to an Exhibition Gallery and now houses all post Second World War plaques. An independent historian was engaged to research the history of Anzac Square and the stories behind the plaques housed in the memorial spaces. Following this research the project partners, in consultation with former senior Navy, Army, and Air Force personnel, categorised all plaques. This categorisation was in-line with the approach used by the Australian War Memorial. When they reopen following Stage 4 works, the undercroft areas will provide an opportunity for all visitors to Anzac Square to engage with Queensland’s military history and gain a richer understanding of the sacrifices the memorial represents. This has been achieved via the placement of plaques in a clear and organised manner, within dedicated rooms that represent different periods of time. 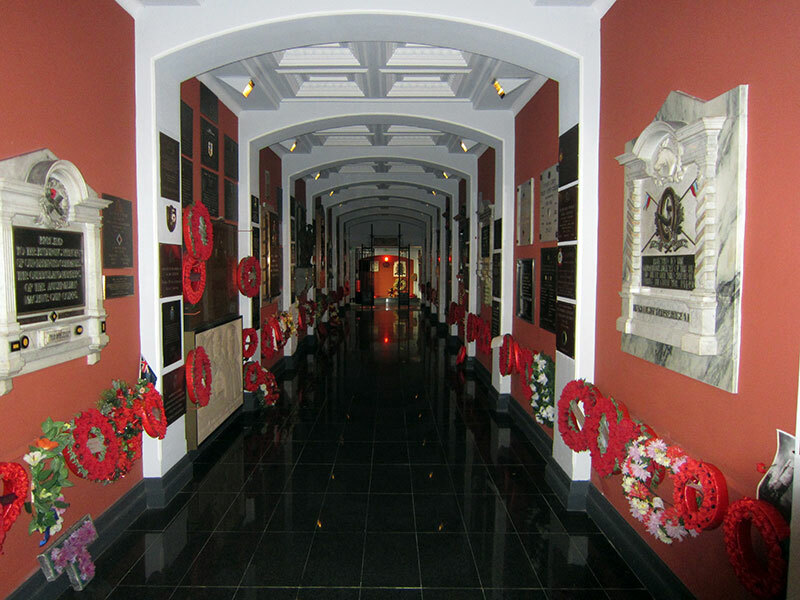 Post World War II Memorial and Exhibition Gallery (previously Returned and Services League Queensland Headquarters (RSL QLD)). 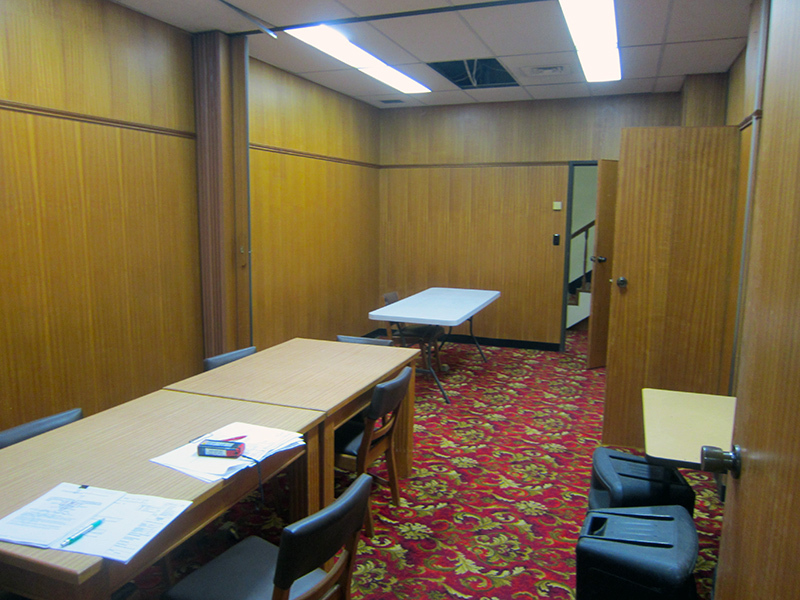 Stage 3 also included installation of new service infrastructure (power, data, communications, audiovisual, security, and mechanical), staff facilities, and improved connectivity to both parts of the undercroft via the pedestrian tunnel. Work to be undertaken during the fourth and final stage will sympathetically conserve and enhance the public presentation, public access and amenity of the site, re-establishing Anzac Square’s significance as Queensland’s State War Memorial for servicemen and women. Stage 4 is a joint initiative between the Queensland Government, Anzac Centenary Public Fund and Brisbane City Council. The plan will result in a restored, enhanced and accessible parkland together with a new entry, improved prominence of memorial elements, improved and sustainable garden landscape, the addition of lift access and upgraded event spaces. View an overview of the Stage 4 features (PDF, 208KB). View a history of Anzac Square and an overview of works as at 5 January 2018 (PDF 4.16MB). Find out more about the restoration project.